Sitting on the outskirts of South Manchester, our town of Altrincham has a long history dating back to Neolithic times. In fact, a Roman road used to run through the Broadheath area which originally extended all the way from Manchester to Chester. During the recent relief road work out of Bowdon, they found all kinds of ancient artifacts dating as far back as Anglo Saxon times, so the area has a very long history indeed! The town itself was created by royal charter in 1290 and has been an important Northen market town ever since. Altrincham encompasses the villages of Hale, Hale Barns, Bowdon, Timperley and borders on to the quaint village of Dunham Massey with its beautiful park within its borders. Our company was established in Altrincham and we remain firm supporters of the town along with our sister company M56 Media Ltd which own Hale & Altrincham Life, an online magazine and social enterprise. 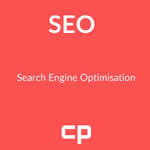 SEO – Search Engine Optimisation company in Altrincham specialising in eCommerce websites. 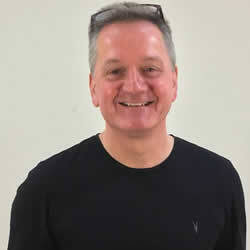 We have over 20 years working on the internet so can offer the depth of experience you would expect. This will include a proper partner who understands your business. You will get the best Google friendly SEO Altrincham has to offer. We can assign an SEO Manager to help you reach that coveted first page in Google. We are specialists in online retail so if have an online store and it is doing badly then let us take a look! 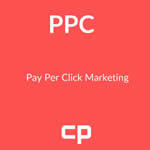 PPC – Professional Pay Per Click using all of our experience to give you the most conversions and the lowest price. Working on Google, Bing and of course Facebook Ads,, we can tailor your campaigns to fit your budget. By far the quickest way to generate business while your SEO kicks in. We offer the finest PPC Altrincham has to offer on a CPC (Cost per click), CPA Cost per acquisition) or CPM (Cost per thousand impressions) basis. 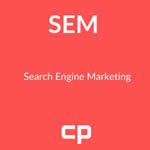 SEM – Search Engine Marketing encompasses all elements of digital marketing for your business. Built to attract visitors to your website which naturally should result in conversions. 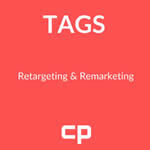 Remarketing – A relatively new area, this involves bringing visitors back to your website. In its simplest form this could involve emailing customers who left your website at the check out – cart abandonment marketing. At its most devious this can involve tracking customers through cookies or tracking pixels. We can reach out to them through other media such ads placed on YouTube or Facebook. Highly profitable and highly inflictive – on your competition!Example: You are launching a new bar in Altrincham and want to target visitors to another successful bar you admire in the area. We could market to that bar’s followers on using remarketing techniques! We don’t just create websites, we create amazing websites which are perfectly optimised for SEO! Normally a developer will give you a cost for a basic website. This will include the ‘wireframe’ which is the layout, how the site looks on the page. The content, including the text written on every page and the images, is down to you. Many companies will add SEO as a service but how good are they? We are an SEO company which builds websites, normal developers are website development companies which offer SEO, often as an afterthought, or as a ‘service’. Site architecture – how the site is structured from home page through category and sub-category pages, right down to products if you have them. Take a look at a typical site hierarchy for a retailer here. It shows how the website is structured from the homepage down to the products. All of this has to be carefully thought out. Consider the categories as silos, under which all sub-categories are carefully slotted. The category represents a single theme as does each of the sub-cats and products so there is no overlap, no duplication. Meta Data – We name an describe every page using keyword research to define the Meta title of a page and then adding its Meta Description so each page is unique and conveys the page meaning to Google. Matching the page to searcher intent is one of the biggest factors in modern search engine optimisation. Site Content – We work with you to create the site content for every page of your site. Each page needs to justify its existence so unless we can write 30 or so words for the reader to properly understand the page we may merge it with a page which is more relevant. Even the humble about us page is ripe for content. The trick here is not to duplicate any content across multiple pages. Images – We use images to help convey the theme of every page. From large ‘hero’ images at the top of the page to additional photos or graphics to enhance the content. each image must be described properly to help enhance the SEO efforts on the page. Video – Video is great for SEO because it increases the dwell time of the page, that is the amount of time that visitors remain engaged with the content. We work with one of Manchester’s top corporate video producers to bring you video content that sells. This will be quoted separately from the main site build and SEO but is worth its weight in gold. Our website development service is built on the perfect foundation of Search Engine Optimisation. You simply won’t find a better company to build your new website. From site architecture to content and images. No one knows more how to get a site built and ranking than we do. Visit our Contact Us page for more. If you fancy more direct contact just message us on Facebook or Twitter or give us a cal on 0161 941 2800. I have lived in Altrincham all of my life and have been working on the internet for the past 20 years. I spent thousands of pounds on paying other people to do SEO and PPC until I realised I was better than all of them. The world of SEO is inhabited by a lot of shady people who will take your money and mess up your site. I know I have been there and done that. PPC is a straightforward but complicated area. The companies I have used have taken the job and then passed it on to children in their organisations to manage. I have lost £1000s in a week just by some wet behind the ears kid had turned off a campaign by mistake then forgotten to turn a new one on. Don’t let that be you!